Twenty-two students from Lenape Elementary School visited SUNY New Paltz on Jan. 11 as part of a year-long collaboration with the College introducing them to computer-aided design (CAD) and the creative processes 3D printing makes possible. Since September, engineering Instructor Michael Otis has been working with students in Mrs. Oppenheimer and Mrs. Beck’s fifth grade classroom, presenting lessons relating their coursework in math and geometry to the technologies that fuel the kind of work done at the Hudson Valley Advanced Manufacturing Center (HVAMC) here on campus. 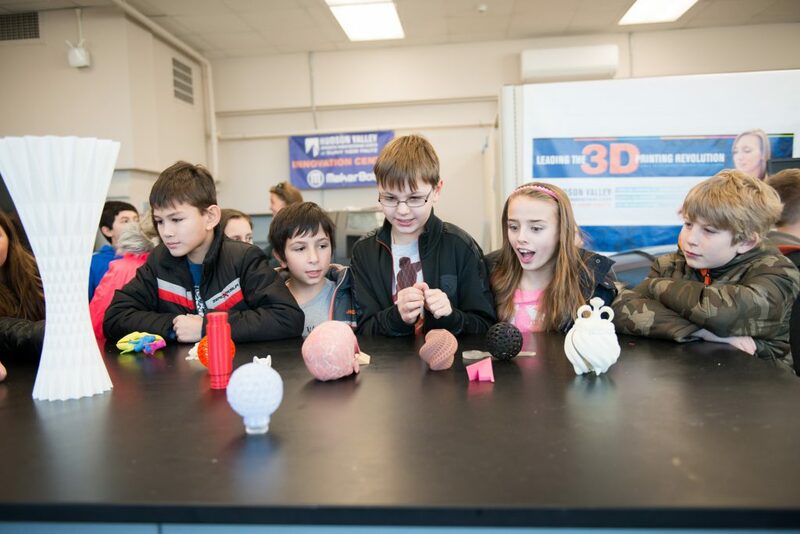 Otis worked with the teachers to create a challenge for the students: work together to design and print rides, concessions and other attractions, which they’d then combine to build an entire, three-dimensional amusement park to be displayed at their school. 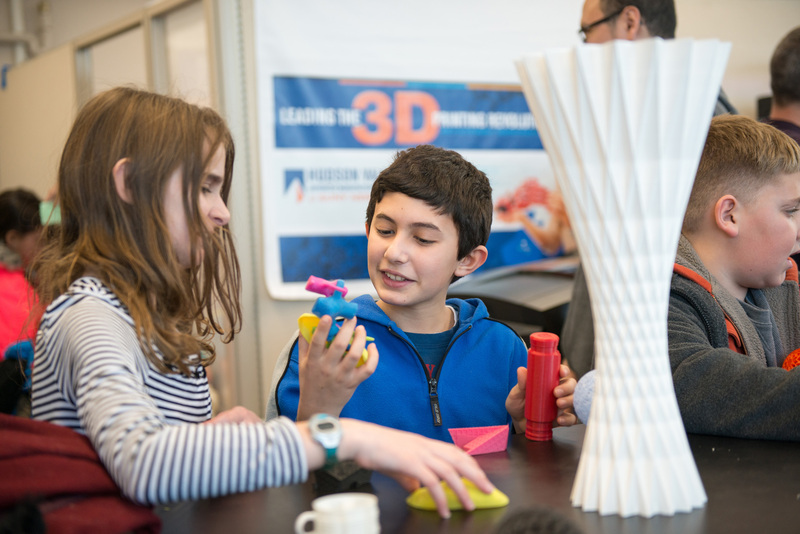 The fifth graders proved up to the challenge, taking quickly to TinkerCAD and other design software and creating inventive builds for looping roller coasters and death-defying thrill rides. 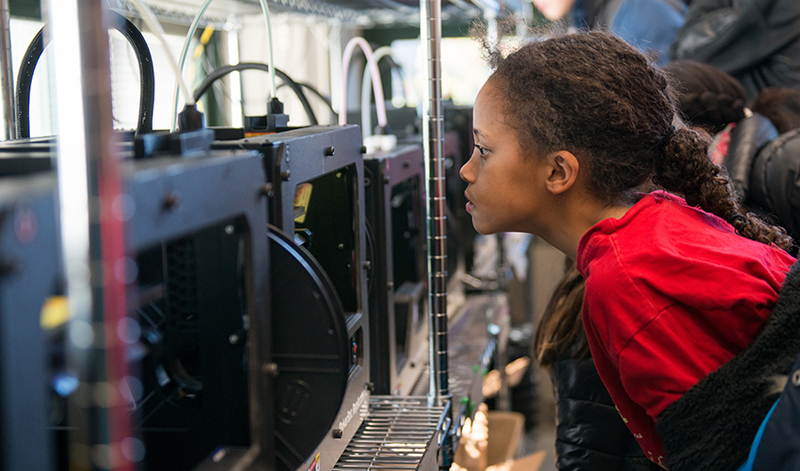 Their trip to campus was structured around a visit to the 3D printing lab, where they were able to see their designs being printed in real time by the HVAMC’s array of MakerBot machines. 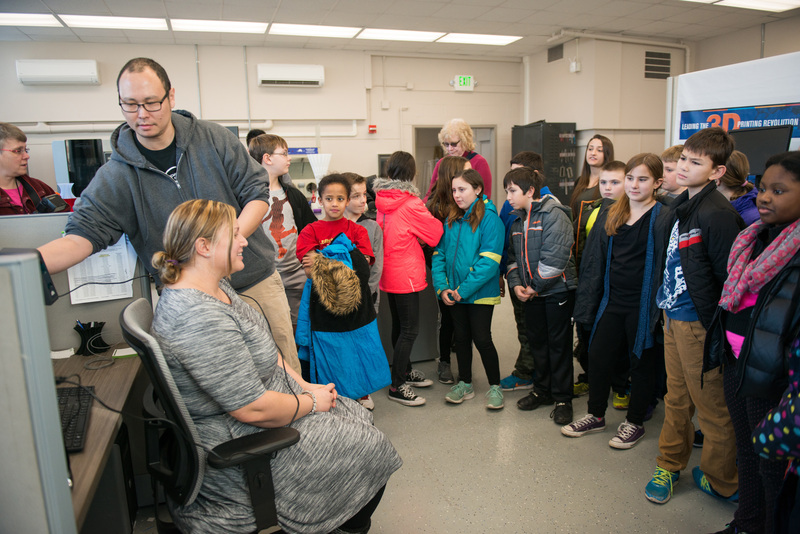 HVAMC technicians Aaron Nelson and Kat Wilson joined Otis in walking the young engineers through the 3D printing process, describing the different kinds of materials that can be used (including chocolate! ), and showing off some recent finished products. More information about the HVAMC and its regional impact is available online.